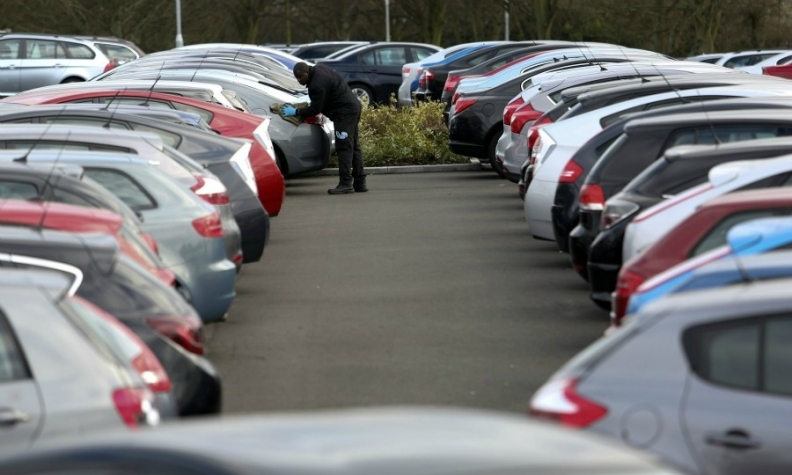 GENEVA (Reuters) -- Strong new-car sales figures from Germany, Italy and Spain added to the growing optimism over Europe's market rebound, though a dip in French demand suggests the recovery remains uneven. Deliveries in Germany, Europe's biggest car market, climbed 4 percent year-on-year to 209,400 vehicles in February. New-car sales rose 18 percent in Spain last month to 68,763 cars, thanks in part to government subsidies. Deliveries in Italy rose 9 percent to 118,328 vehicles in February. French car registrations however fell 1 percent to 141,300 cars last month. The dip ended almost five months of straight sales gains. "We're convinced that the auto spring which traditionally kicks off with the Geneva show will be much stronger and much livelier than a year ago," said VDA president Matthias Wissmann in a press conference at the Geneva auto show. "The outlook has brightened up sharply." VDA did not give a definitive forecast for this year, but said it expected a 2 percent rise in sales to 11.7 million cars in western Europe, if economic conditions remain favorable. "There is underlying growth in the European car market, there is a lot of optimism around," Allan Rushforth, chief operating officer at Hyundai Motor Europe said on Monday. Analysts mostly expect a modest recovery in European car sales this year. Researchers IHS Automotive, for example, expects sales in the European Union to rise 3 percent to just over 12 million. Moody's also sees a rise in light vehicle registrations of about 2 percent in western Europe this year. However, that would still leave registrations about 20 percent, or 3 million vehicles, below pre-crisis levels in 2007.